Addiction touches people in different ways. For that reason, we’ve created three faith-based support groups to help family members who've been affected by the addiction crisis. The Well support group offers a place of hope, healing and restoration. This group helps families cope with the loss of a loved one to an overdose. We meet the 1st and 3rd Wednesdays of each month from 6:30-8:00pm at Crossview Church located at 737 George Washington Blvd in Akron, Ohio. Loving With Grace support group was formed to help families currently living with someone in active addiction. This group is temporarily on hold until the end of 2018. Love Bears All is a program of outreach for children who have lost a parent or family member to an overdose. 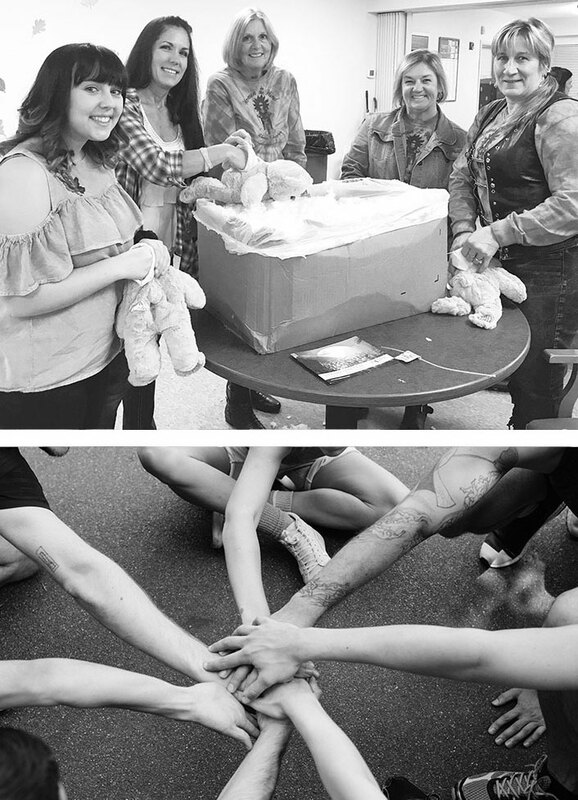 We launched our first project in November of 2017 with a "Love Bears All" teddy bear program to comfort children who lost a loved one to addiction. Our bears are distributed via police departments and other first responders in Summit County. Each teddy bear is hand-stuffed with love by individuals directly impacted by the addiction epidemic and dressed in a "Love Bears All" t-shirt. A hand-written note and brochure with recommended resources to help children cope are also included. Hope United understands what it's like to live with, and ultimately, lose a loved one to addiction. Contact us to learn more.